One of downtown Erie's biggest events of the year, The Barstool Open is something you definitely don't want to miss, as 20 of Erie's best downtown bars will compete to create their own fun and original putt-putt -style holes all in the name of good times and charity. 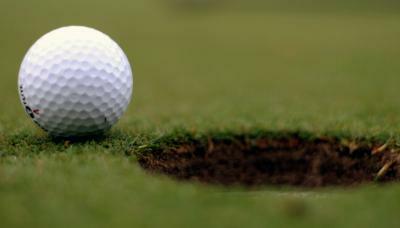 Participants of all golfing skill levels are welcome to take part in this annual event that collects proceeds that go to a great cause—the 38-year-old nonprofit charity, Meca, the organization we have to thank for coming up with and bringing this event to Erie every year to help residents of Erie and Erie County. "It started out small," said Laura Eaton, executive president of the Barstool Open and president of Meca, of the event that's now in its 14th year. "In 2011 alone, we had 1,642 golfers participate." With numbers like that, it would be a bit of an understatement to say that the event has grown over the years. In the past, the money has helped build wheelchair ramps, aid struggling families with finances, and assist Erie citizens living with disabilities. Participating Erie bars also are responsible for making this event such a hit. "The bars tell me that this event brings in the biggest amount of people each year," Eaton said. The bars compete against one another to create the best hole possible. "Some [bars] even bring in professional hole designers for this event," she said. There are myriad contests and activities offered during the Barstool Open as well. "The bars who sign up the most players win an award," Eaton added. Other competitions among downtown Erie bars include best hole and most money raised by individual bar volunteers. There will be plenty of other contests and events that will be offered for those who participate in the Barstool Open. Eaton said that participants can look forward to $2,000 worth of prizes to be distributed. Some of the events include a 50/50 drawing as well as awards for best costumes, highest and lowest scores, hole-in-one makers, and much more. Participants will have a chance to experience a whole new adventure at each bar they visit, as Erie Beer Company is a driving force behind the Barstool Open. President of Erie Beer Company, Kevin McCormick is excited to be such a large part of such a successful event. "We, [Erie Beer Company] help facilitate the event, but Meca does a lot of hard work and benefits from the Barstool Open," he said. He also stressed that the event wouldn't be as successful as it is today without all of the bars' cooperation. "Each bar aims for the 'wow factor' when building their hole," McCormick said. "The bars take it seriously and can get very competitive." Sherlock's currently holds the bragging rights for winning the most trophies for the best hole. "It's always different," McCormick said of how the event changes year to year. "There will be 20 bars and each one designs their own putt-putt-styled hole. There are nine holes on each score card and prizes will be awarded too." McCormick added that this event is a mix between Mardi Gras, Halloween, and "Caddy Shack." "The costumes are always a great part," McCormick said. "Some teams dress up with a certain theme in mind." He recalled one team in the past dressing up like the characters from the popular Mario Bros. games. Another commodity seen at this event is team-designed shirts and sweatshirts. Justin Fried, a past participant who is excited to attend the Barstool Open this year, recalled a past shirt design his group, Team Teabag, donned during the event. "We made shirts that had a squirrel on the back," Fried said. He quickly clarified that this was no ordinary squirrel though; it was, um, a rather large squirrel. "We got 'Just because you're a coffee drinker, doesn't mean you can't enjoy a teabag every now and then' printed on the shirts," Fried added. In the past, Fried has made other interesting shirts. "I take embarrassing pics of buddies and send them to Silkscreen Unlimited," Fried said. "Then all of my teammates wear the shirts to the event." To Fried's credit, there's no lack of imagination or creativity when it comes to choosing embarrassing pictures. With participants like Fried and those Mario Bros., event attendees can expect to see hilarious and possibly raunchy original clothing and costumes at this event. Upon being asked what he looked forward to the most at the Barstool Open, the 28-year old Fried responded, "Now that I'm getting older, it's nice to just get together with everyone. It's nice to just get up early and drink like you're 21 again." No doubt that this is an event for those aged 21 to 101 and even for those not in Erie. McCormick said that every year, they get more and more participants from out of state that travel all the way to Erie just to hit the city and its greens. The Barstool Open has been a huge success in the past and the timing of the event might just have something to do with that. "The Barstool Open offers a chance for people to get out of their houses and escape the weather," McCormick said. "It provides a break from the winter monotony." And this is an event for anyone. "You don't need to be skilled golfer to take part in this event," he said. "It's just a good time where you can mingle, donate to charity, and take part in some drinking while golfing. It's like St. Patrick's Day in February."